I have always been active in sports and fitness my entire life but never real found anything I could stick with consistently. In 2010 I was introduced to PFC CrossFit through one of the PFC Training courses and was hooked from that very first workout. CrossFit has prepared me for everything physically and mentally in life more than any other workout program has. CrossFit is more than just getting stronger and faster, it’s about the camaraderie and the community of CrossFit. The CrossFit community provides support and motivation like no other gym does. I take pride in helping athletes push themselves to their limits to achieve their fitness goals. 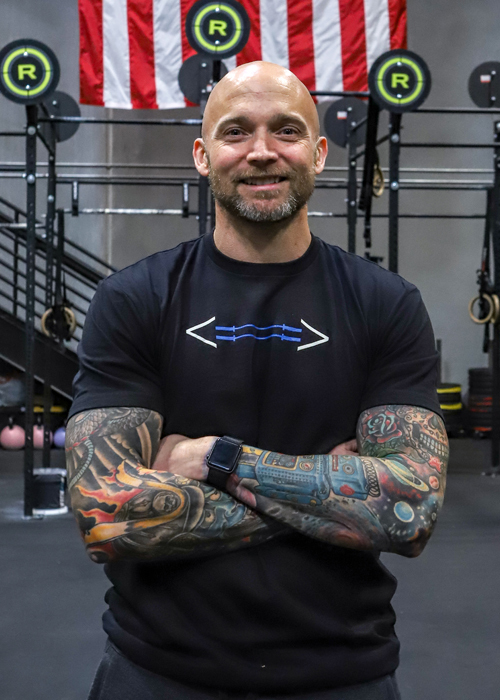 CrossFit has made a great impact on my life as a whole and my goal is to share my enthusiasm for a healthy and fulfilling life with as many people as possible. In addition to coaching WOD classes, I run the PFC Kids Camp. I have four children that wanted to do CrossFit, too. Their desire inspired me get my CrossFit Kids certification in July 2013 so I could learn how to effectively train children which also had an impact on how I coach our adult athletes.